Document Data Solutions offers a variety of options for printing envelopes in monochrome and color for the printing and mailing industry. 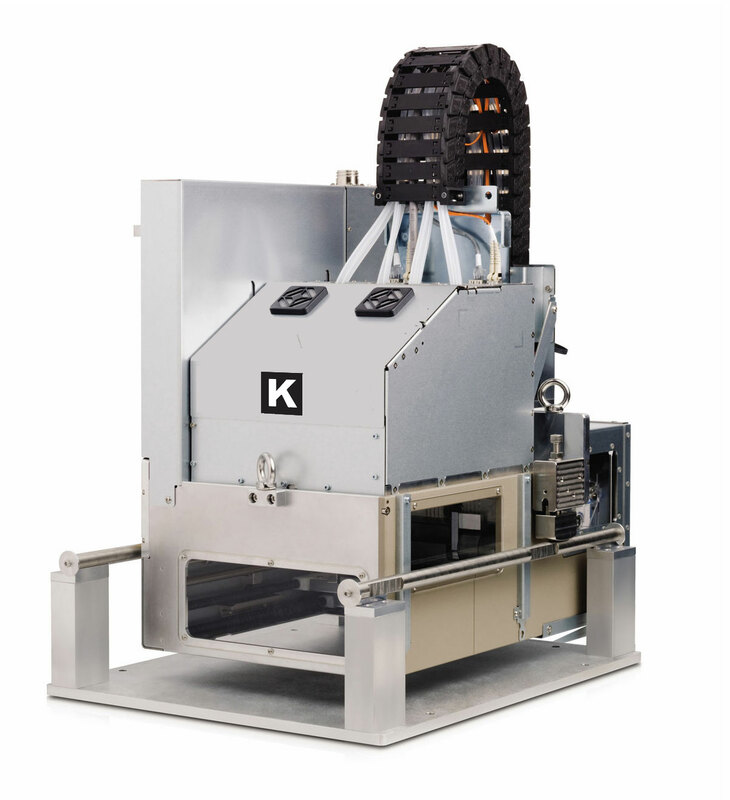 Our first iDataPrint™ solution came about due to a customer request for printing in-line with their inserter but not having the room for a large vacuum base as is typical in the mailing industry. We designed our unique floating deck transport which would fit in a 16”x16” area yet be built strong enough to meet the demands of printing multiple shifts 7 days a week. Since our first iDataPrint™ system was designed, our software has evolved to work with a variety of industrial inkjet technologies. We now offer the ability to print not only in monochrome or spot color but full color with systems that will print full variable data on envelopes at up to 500 fpm. With our iDataPrint™H500 ColorSpeed CMYK inkjet solution you no longer need to stock a wide variety of customer envelopes but can now print the envelopes for each job on demand saving both you and your customer money. iDataPrint™ systems are capable of printing full variable and static data, logos, pictures, text, Permit Mail Indicia as well as barcodes such as 1D, 2D, QR, OMR and IMB. Each system is designed to easily integrate into your network environment and can be set up with real time monitoring of jobs across multiple DDS equipped machines. Document Data Solutions iDataPrint™ M6 print system is designed to utilize either UV or Aqueous based inks to print on a variety of substrates on web presses, vacuum bases, conveyors or rewinders and can be made portable. iDataPrint™ M6 is the latest generation of high resolution DOD print technology combining the superior capabilities of the feature rich iDataPrint™ Print Controller and Kyocera’s advanced print head technology. 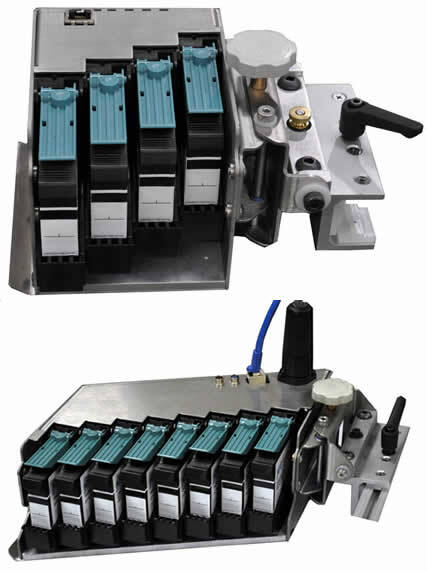 iDataPrint™ 45 Series is a versatile and powerful industrial print platform with ½” to 8” printhead sizes available. Multiple printheads can be used together to provide even wider print coverage. The system can print variable text, logos and graphics on a wide range of material including paper, cardboard, coated stock and plastics. New advances in both water based and solvent inks has greatly expanded the number of printable substrates. iDataPrint™ 45 Series comes with DDS’ exclusive, feature rich, iDataPrint™ Layout Designer software. 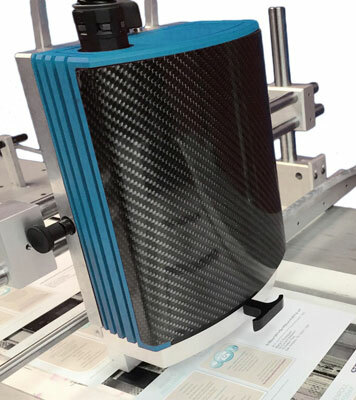 The iDataPrint™ H500 Monochrome inkjet solution for envelope printing, features a 4.25” print module incorporating proven HP Scalable Print Module technology. Combining Document Data Solution’s advanced iDataPrint™ controller and exclusive, feature rich, iDataPrint™ Layout Designer software, the H500 Monochrome provides a high quality production variable data envelope inkjet printing solution capable of speeds up to 500 fpm. The iDataPrint™ H500 ColorSpeed CMYK inkjet solution for color envelope printing, features a 4.25” color print module incorporating proven HP Scalable Print Module technology. Combined with Document Data Solution’s advanced iDataPrint™ controller and exclusive, feature rich, iDataPrint™ Layout Designer software, the H500 ColorSpeed system provides a high quality production variable data color inkjet printing solution capable of speeds up to 500 fpm.The 4.25” printhead can print an entire #10 envelope in a single pass either in line with you inserters or as a standalone solution. Document Data Solutions, iDataPrint™ Color Profile Wizard allows the casual user to achieve superlative color matching and image refinement previously attainable only by dedicated color experts. 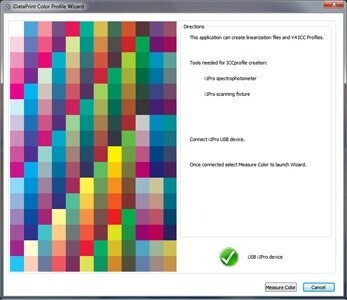 The DDS Color Profile Wizard provides the needed bridge from Graphic Artist to finished printed product. iDataPrint™ Layout Designer software designed by our in-house programming team sets DDS apart from the competition. This Windows™ based software with its WYSIWYG (What you see is what you get) features is easy to learn and operate. This software was designed with the marketing group in mind allowing all users to share the same resources through your centralized network database. Users even have the option of scanning in the actual envelope that is going to be used for the job for optimum layout and design.